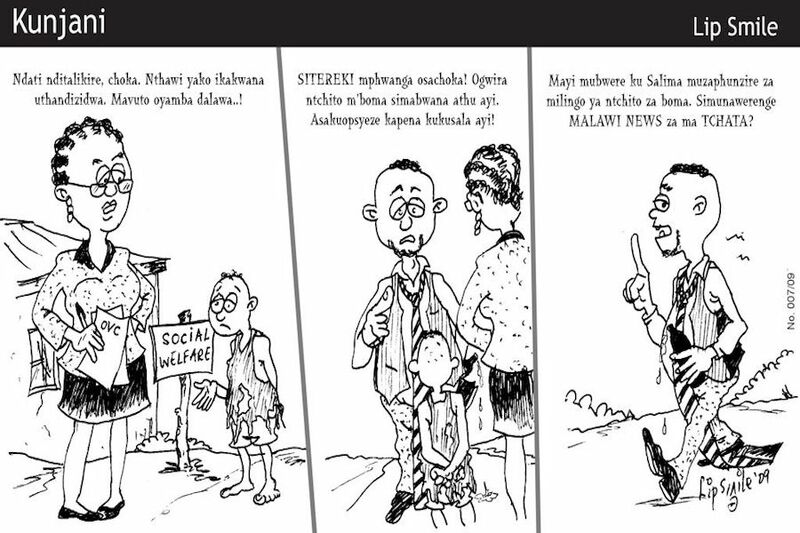 Cartoon 3: To lady: “If you do not understand this, go to Salima (district) to learn more about Service Charters as reported in a local newspaper. NOTE: An NGO has piloted a public service charter project in Salima which will go into three more districts soonest. It is trying to change the mindset of the people about their expectations from public service providers. Civil servants abuse and recieve bribes for services from ignorant people.